Do I Need a Criminal Defender? These professionals represent individuals charged with criminal conduct, or have charges pending against them. Most general practice attorneys specialize in either civil or criminal law. Civil cases are usually brought by a company or an individual, whereas criminal charges are brought by the government, either local, state, or federal. One of the things that a defense firm will do for you is fight to protect your rights. They will come up with proper defense strategies, take care of the paperwork, make sure that you understand every aspect of the case, and fight to get your charges reduced, if not eliminated entirely. Additionally, they are responsible for representing you in court and ensuring that you get a fair trial and positive outcome. For an experienced criminal justice defender servicing Montgomery County Maryland, call our law firm today. There is zero tolerance for drinking while operating a motor vehicle. If there is presence of any alcohol, you could be arrested. Michael has over 25 years of experience and he is the one call you need to make when searching for legal representation in the Bethesda area. 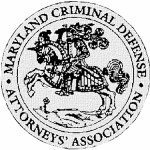 You do have the right to defend yourself, however it is inadvisable unless you have had a lot of experience and know the laws of Maryland. You need the aggressive and experienced legal assistance of Michael Bruckheim & Sweta Patel – legal defenders with over 25 years experience. They focus on protecting the rights of the accused. Even though you may have made an error in judgement, that does not mean that you do not have the right to a fair trial. Have you ever been arrested for for operating a vehicle while intoxicated? Maybe you have been recently, and that’s why you have found our site. A DUI or DWI is one of the misdemeanor charges that can be really difficult for people to handle. Any arrest is difficult of course, but an intoxication arrest comes with serious consequences. Obviously, there is good reason for that, but you have to be able to move forward with your life after being arrested for operating a motor vehicle while intoxicated. Maybe it isn’t you that has been arrested, but someone you love. The first thing that will enter anyone’s mind after being cited, is the idea of going to jail. If someone you know has been arrested for a maneuvering a vehicle under the influence, is the person out of jail yet? He or she will have to bond out or will have to sit in jail until the court date comes up. Then, jail time in relation to the charge is definitely still possible, especially if this isn’t a first time offense. Typically, you won’t see people sentenced to prison for a first offense. However, that doesn’t necessarily mean you don’t want legal representation if that is your situation or the situation for a loved one. There are many other things to consider. You also are going to be facing steep court fines, a license suspension, loss of job, loss of your family situation, and possibly more. In this area, there are two different offenses that you can be charged with when you are arrested for operating a motor vehicle while under the influence of alcohol or an illegal substance. One is a DUI – Driving Under the Influence of alcohol. You will be charged with this if your blood alcohol content is .08% or higher. Another offense is DWI, which is driving while intoxicated with a blood alcohol content of below .08% in your system. Keep in mind, there are many criminal law firms in the area. The experience of our law firm is proven, so you can be sure you are making the best choice. If you are ever charged with one of these offenses in Germantown, Damascus, Rockville, Gaithersburg, North Potomac or the DC Metro area it is a good idea to seek help as soon as possible so you can possibly get the charges reduced. There are many preventative measures you can take to help reduce your sentence if convicted. The legal counsel of Bruckheim & Patel have many years of experience, and will fight to protect and defend your rights in the court of law. Unfortunately, time is not on your side when it comes an operating while intoxicated charge. The quicker you act, the better your circumstances may be at the time of your trial. A lawyer can review all the terms of the arrest and assure that all of your civil rights where taken into consideration when you were communicating with the officer. Attending an alcohol awareness class, or attending AA meetings for example, are clear examples of remorse for what you have done, and may help you with a lighter sentence, PBJ, or other outcomes when your court date appears on the calendar. The law firm of Bruckheim & Patel would like to speak with you. Schedule a free consultation with one of our lawyers, and see exactly what makes us a great choice for aggressive drunk driving defense in Bethesda, as well as Montgomery County, and the District of Columbia. We look forward to speaking with you.